Writer Joshua Williamson (GHOSTED, BIRTHRIGHT) and artist Mike Henderson (Venom, Carnage) will launch a new story arc in their hit horror series NAILBITER this November. 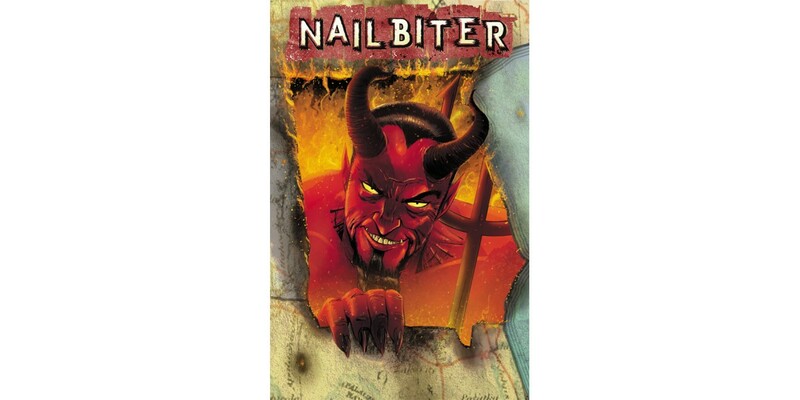 Previously in NAILBITER, NSA agent Nicholas Finch found himself roped into the mystery of Buckaroo, Oregon, where sixteen of the world’s vilest serial killers were spawned, only to find his colleague mutilated and thus unable to share his theory. The only person who seemed capable of shedding some light on this dark mystery was the monstrous Nailbiter himself—and Finch is a man who knows how to make people talk. In NAILBITER #17, it appears there’s a new serial killer in town. NAILBITER #17 (Diamond code SEP150511) hits stores Wednesday, November 4th. Final order cutoff deadline for retailers is Monday, October 12th.